Tony Talks: Tony Bamford (right) addresses his Under-18s during a break in play. South Adelaide wishes to congratulate Talent Manager and Centre of Excellence U18 Coach, Tony Bamford on his appointment as SANFL Under-18s State Coach and Academy Manager. Tony will continue as the Panthers Under-18s Coach for the remainder of the season and as Talent Manager in a part-time capacity until the end of July. He will replace current SANFL High Performance Manager Brenton Phillips at the helm of the Croweaters following the conclusion of this year's National Championships, with Phillips continuing as State Talent Manager, overseeing male and female talent pathways and programs. South Adelaide CEO Neill Sharpe thanked Tony Bamford for the contribution he had made to the Panther's underage programs since joining the club in November 2012 from the Port Adelaide Magpies. "Tony's positive influence on our junior programs is evident through the recent strength of our Under-16 and Under-18 sides and the Club will continue to benefit from this in the coming years at junior and senior level. "He's undertaken extensive work revamping our Zone and Development Squad programs and implementing the Panther Club U16 Academy, which included a cutting-edge testing and education program delivered by partners Flinders University. "It is no surprise that he has received this opportunity. We wish him well in his new role with the SANFL." 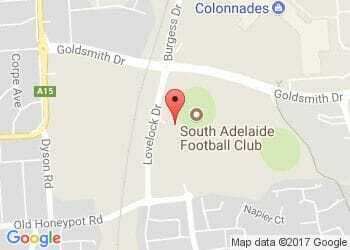 South Adelaide will advertise the Talent Manager role in the near future.